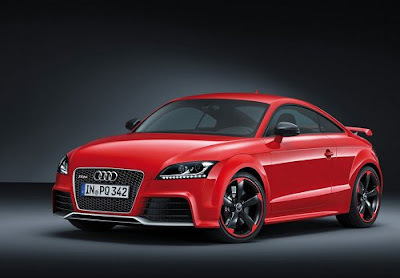 CAR GARAGE | 2013 Audi TT RS plus | This compact sports car, in both Coupe and Roadster versions, stands out for its awe-inspiring performance. Its power-boosted turbo five-cylinder delivers 265 kW (360 hp), sufficient for a top speed of 280 km / h (173.98 mph). 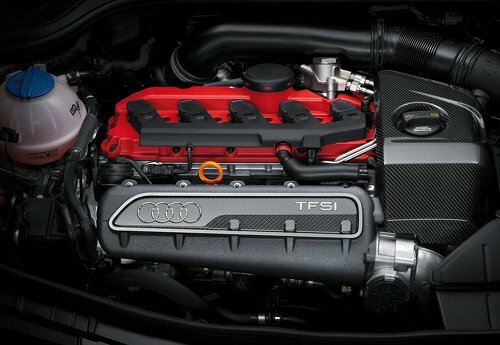 The 2.5-liter TFSI in the Audi TT RS plus is a high-performance engine. Customers can choose Between a six-speed manual transmission and the seven-speed S tronic with its lightning-fast gearshifts. The quattro permanent all-wheel drive system, the which operates with a mufti-plate clutch, engine transfers power to the road in supreme style. The Audi TT RS plus unites dynamics and efficiency in a most impressive way. The Roadster completes the same exercise in 4.2 seconds (with manual transmission: 4.4 seconds). Alongside Numerous efficiency-improving measures, these top figures are due primarily to the extremely lightweight Audi Space Frame (ASF) bodies made of aluminum at the front and sheet steel at the rear. 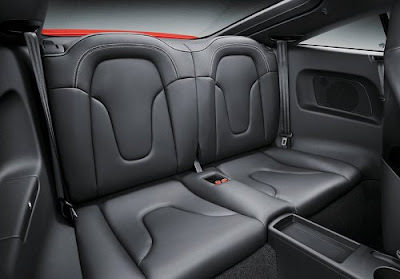 The Coupe with manual transmission, Including quattro drive, weighs just 1.450 kilograms (3,196.70 lb); its power-to-weight ratio is 4.0 kilograms (8.82 lb) per horsepower. The high-performance brake system is Able to cope with the engine's power at all times. 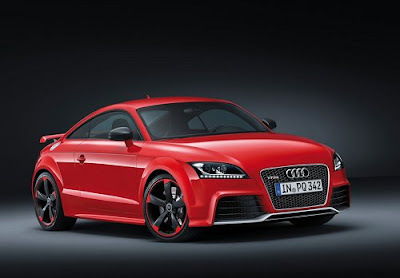 The Audi TT RS plus is fitted with 19-inch cast wheels of five-arm "rotor" design; They are painted black with contrasting red rim flanges. The dual-branch exhaust system has black sports oval tailpipe trims. A sound flap further intensifies the sound of the engine. The knob on the gear lever or selector features an aluminum-look trim ring and a TT RS badge plus.